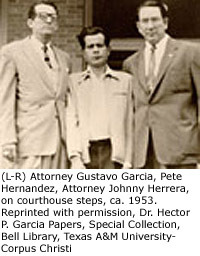 The University of Houston Law Center, UH's Arte Publico Press, and several Houston law firms will host an important conference on November 19, 2004, in the 50th anniversary year of Hernandez v. Texas, 347 US 475 (1954), the major case involving Mexican Americans and jury selection, published just before Brown v. Board in the 1954 Supreme Court reporter. This landmark case, the first to be tried by Mexican American lawyers before the US Supreme Court, held that Mexican Americans were a discrete group for purposes of applying Equal Protection. Although the case was about discriminatory state jury selection and trial practices, it has been cited for many other civil rights precedents in the intervening 50 years. Even so, it has not been given the prominence it deserves, in part because it lives in the shadow of the more compelling Brown case. In order to pay tribute to this important case, we have invited civil rights, social science, and criminal law scholars to present papers on Hernandez and its implications. Selected papers will be presented at the conference, to be held in Houston on November 19, 2004; these papers will be edited for eventual publication in a law review in 2005 and a subsequent Arte Publico Press volume, which will include trial materials and press coverage from the original trial. This occasion will also give participants an opportunity to pay tribute to Houston attorney James deAnda, one of the original attorneys in the Hernandez case, who later served as a federal judge in the Southern District of Texas, and who is still an active lawyer in Houston. He will be giving the keynote address at the conference dinner on Friday, November 19. Most importantly, the conference participants will include Richard Delgado (Pittsburgh), George Martinez (SMU), Ian Haney-Lopez (Boalt Hall), Kevin Johnson (UC-Davis), Laura Gomez (UCLA), Juan Perea (Florida), Steven Wilson ( Prairie View A&M ), Thomas Russell (University of Denver), Neil Foley (University of Texas), Clare Sheridan (University of California, Berkeley), Sandra Guerra Thompson (Law, University of Houston), and Amilcar Shabazz (University of Alabama). Papers will be on the case and its aftermath , and will be from a wide range of academic disciplines and take many approaches. This occasion will be the major national examination of the Hernandez case. The sponsors welcome you to join us in this important undertaking. There will be no charge for attending the conference, and students and scholars are welcome to attend without charge for any of the events. There will be a charge for attending the dinner, but all materials and refreshments will be provided by the generous sponsors and the UH Law Center. The Friday dinner reception will be hosted by Belo Corp. and KHOU-TV. Be sure to mark your 2004 calendar for November 19, in Houston. 6 hours of Texas CLE credit has been approved; the CLE number is 000073150. Click here for a copy of the Hernandez case, here for information on hotel and travel arrangements, for the speaker topics, and for UHLC and Arte Publico Press. Click here for the Hernandez at 50 Program. Table Sales and Reservations for Reception, Dinner (Nov. 19) (pdf) Bonus movie screening: Thursday night, Nov. 18, there will be a pre-conference movie, Paul Espinosa's prize-winning story of the first U.S. desegregation case, successfully brought by Mexican American plaintiff parents in 1930's California, THE LEMON GROVE INCIDENT. This film will be screened for conference authors and invited guests. A buffet dinner will be served at 6:30 pm. on November 18, in the UH Hilton, and the film will be presented at 7:00 p.m. Director Paul Espinosa will attend the screening. Sarah McClendon, “Jury Bias Put to High Court,” San Antonio Light, January 12, 1954, p. 1: This is the only news story filed by a reporter who was actually present at the Supreme Court when Carlos Cadena and Gus Garcia argued the case. "The petitioner's initial burden in substantiating his charge of group discrimination was to prove that persons of Mexican descent constitute a separate class in Jackson County, distinct from "whites." One method by which this may be demonstrated is by showing the attitude of the community. Here the testimony of responsible officials and citizens contained the admission that residents of the community distinguished between "white" and "Mexican." The participation of persons of Mexican descent in business and community groups was shown to be slight. 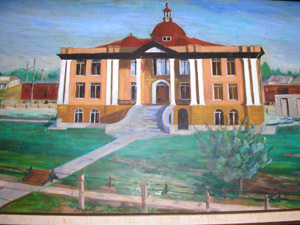 Until very recent times, children of Mexican descent were required to attend a segregated school for the first four grades. At least one restaurant in town prominently displayed a sign announcing "No Mexicans Served." 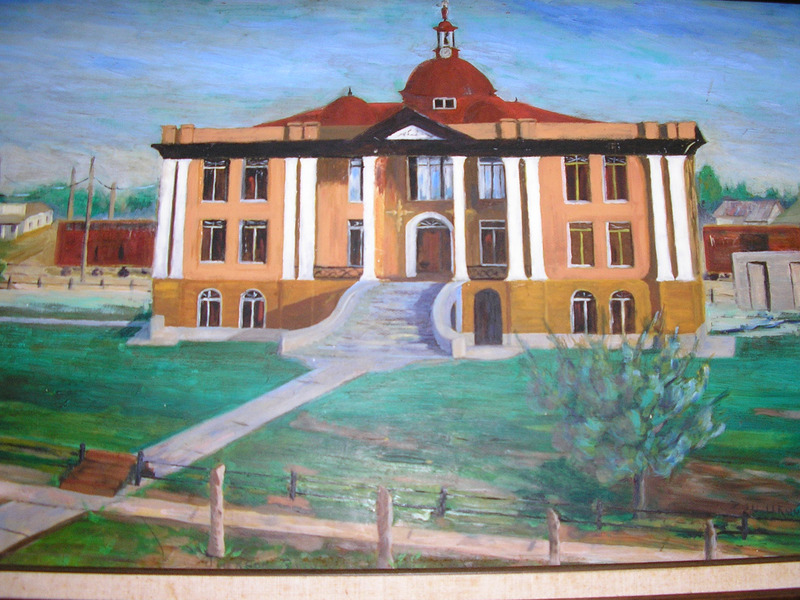 On the courthouse grounds at the time of the hearing, there were two men's toilets, one unmarked, and the other marked "Colored Men" and "Hombres Aqui" ("Men Here"). No substantial evidence was offered to rebut the logical inference to be drawn from these facts, and it must be concluded that petitioner succeeded in his proof." The conference papers will appear in the UCLA Chicano-Latino Law Review (Vol. 25, 2005). This APP book will reprint the papers, including those not received in time for the CLLR volume, and will include additional resource materials, such as the briefs submitted in the case and the US Supreme Court trial transcripts.